Experience a change of data storage for the better with SanDisk and step up to 16GB. Try transferring your videos, photos and files with SanDisk Ultra 16GB 48MB/s C10 microSDHC UHS-I Memory Card where you can enjoy speed of data transfer faster and with better quality. The SanDisk Ultra 16GB 48MB/s C10 microSDHC UHS-I Memory Card takes the wait out of moving, sharing or backing up big filesâ€”now you can transfer a full-length movie from your laptop to your card with way less hassle. 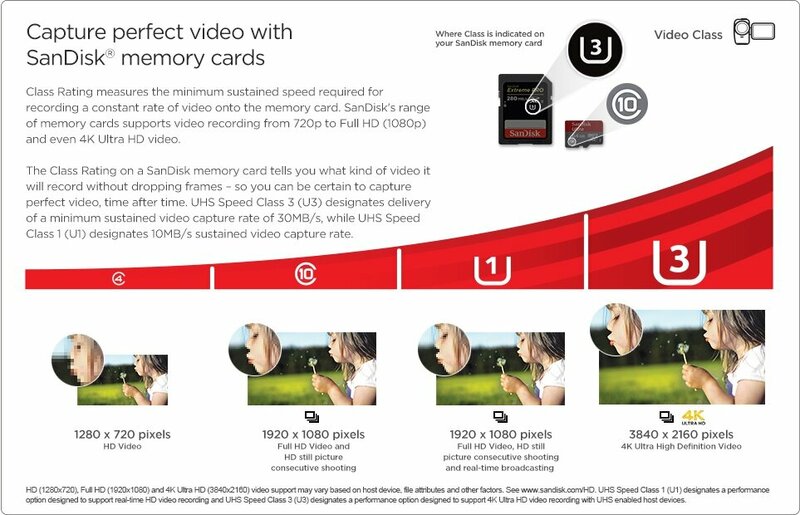 The SanDisk Ultra 16GB 48MB/s C10 microSDHC UHS-I Memory Card will help transfer you files with up to 48MB/s** transfer speeds. Housing a large 16GB in its card, it is also a Class 10 card ensuring Full HD video recording and playbackÂ¹. 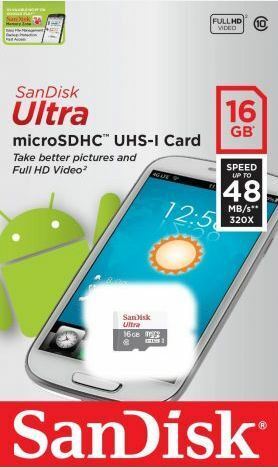 The SanDisk Ultra 16GB 48MB/s C10 microSDHC UHS-I Memory Card is ideal for premium Androidâ„¢-based smartphones and tablets as well as cameras. 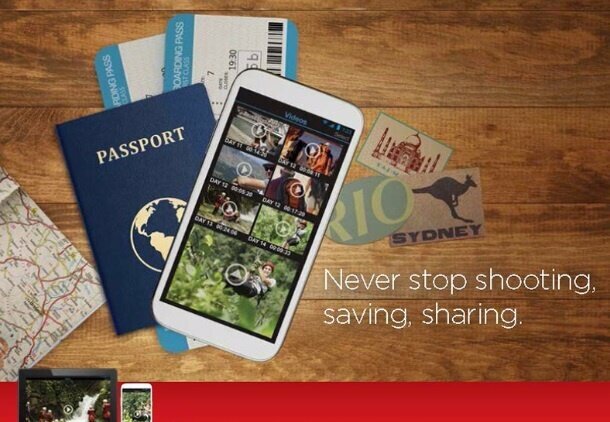 The SanDiskÂ® Memory Zone app is available to view and manage digital files from your phone. The SanDisk Ultra 16GB 48MB/s C10 microSDHC UHS-I Memory Card will prove to be a great investment where you will be impressed with its quality and reliability when it comes to transferring and storing your data safely. Oferring a high speed transfer as compared to standard data storage cards, you are assured of its high performance with its ability to transfer up to 1000 images in under one minute. It card is also built to perform in harsh conditions.